The 544-545 series is the newest generation of competition trials tyre from Shinko. Front and rear tyres developed and tested by the best international Trials riders. Due to the design of the blocks, casing and compound allow the 544-545 remarkable grip on rocks with excellent stability and shock absorption. 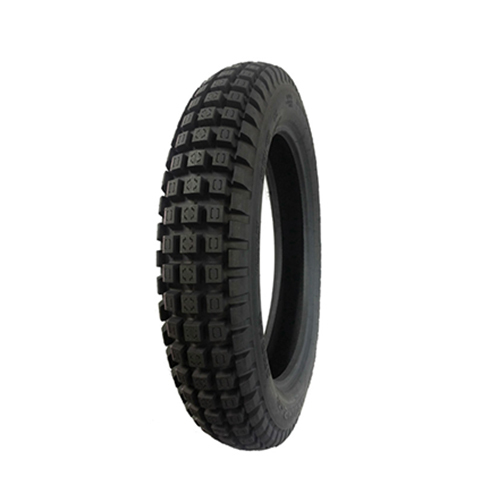 Front tyre is bias construction & Tube type and Rear tyre is Radial construction & Tubeless. The rear Tubeless design allows tyre to run at very low pressures without pinch flats, teamed with all the advantages of radial construction, including a stiff bead area and a deform-able crown, combined with a very sticky compound make the 544/545 unparalleled in wet situations. The Shinko Trial tyre is the tyre for professional and ambitious amateur riders.